In an era when Terminator’s become governors and politicians are accused of being too connected to Hollywood, there is something coming out of the entertainment world that we can all get behind. 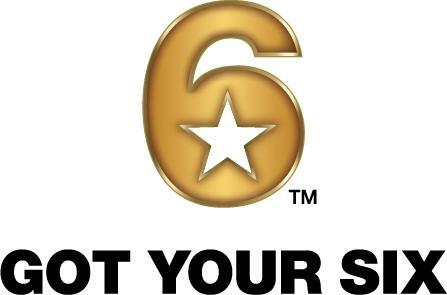 The Got Your Six campaign is a bi-partisan movement led by the heavy hitters in the TV and film industry with a goal of helping our military vets step back into civilian roles. It was founded a little over a year ago by some of the biggest forces in the industry including all the major networks and studios. Stars like Alec Baldwin, Tom Hanks, Brian Williams and Sarah Jessica Parker got together to make a PSA supporting the organization. And now Flo-Rida and Willie Nelson join the campaign with live shows. Last week it was announced that two benefit concerts will be held in support of the Got Your Six campaign during the Republic and Democratic conventions. Willie Nelson and Jerry Jeff Walker will take the stage at a Got Your 6 event on August 29, 2012, during the Republican National Convention in Tampa, Florida. And Flo-Rida will perform one week later during the Democratic National Convention event in Charlotte, North Carolina, at a second Got Your Six soiree. In military terms, Got Your Six, means “I got your back.” And that’s what this organization hopes to convey to our vets all around the country who have dedicated their lives to our service. They focus on six pillars of reintegration — job, education, housing, health, family and leadership. Each pillar has a group of experts who have created tangible, trackable goals to aid the more than 100 million service members who will be in transitioning back into civilian life over the next five years. Leaders in the entertainment industry are the driving force behind getting this message out to the public. But it’s not just up to the celebs to take care of our vets. We can all pitch in. Visit GotYourSix.org to find out how you can help. From hiring a vet to giving blood to interviewing a service member, we can all spread the word about Got Your 6 and help the people who have sacrificed so much for us.